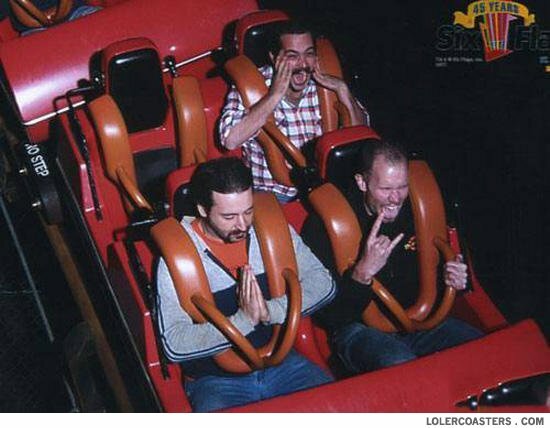 rock n roll, prayer, and girly screams... understandable combintation. dear god, please let me get through this ride alive. amen. ''please sir, dont let me die.. Does that screaming guy have a handlebar moustache? Dear load, if you are going to take anyones life today please take the girl behind us thats screaming... wait,,,, what? thats a guy!